Grunge well and truly fucked up my music. All the bands I'd loved had packed it in. Some would say a new movement was needed as the hair metal bands of the time were getting out of hand and writing copious amounts of tripe. It wasn’t until I found a magazine called Hard Roxx in 1997 that this world opened up for me again. Not only that, there were a whole host of bands that had still been releasing albums that were so underground, it was if Jules Verne had a record label. Between 89-97 I only really listened to bands that has just about managed to survive grunge and were still releasing music. Cracking melodic rock bands passed me by – Red Dawn, Signal, Ten, Talisman, etc., the list is huge. One voice really stood out for me once I started delving back into this world, and it was a familiar voice…..the voice of one Mark Free. The first King Kobra album was probably one of my top 5 hair metal albums of the 80s, so much so, I re-recorded the bugger at least 3 times on cassette. I was pleasantly surprised to hear that he had still been releasing music as a part of Signal, Unruly Child, and at that current time was a solo artiste. 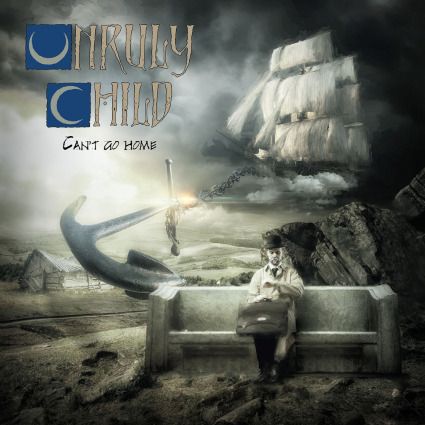 The original members of the legendary melodic hard rock quintet Unruly Child have reunited to release a brand new album with Frontiers Music Srl entitled “Can’t Go Home”. Marcie Michelle Free (vocalist - King Kobra, Signal), Bruce Gowdy (guitarist – Stone Fury, World Trade), and Guy Allison (keyboardist – Lodgic, World Trade, Doobie Brothers) together with the original band members from the first record, drummer - Jay Schellen (Hurricane, World Trade, Asia), and bassist - Larry Antonino (Pablo Cruise), comprise the line-up for this recording. Well, Marcie still has the voice to melt the hardest of rock hearts. 'The Only One' is upbeat, just screams Summer and a top down in your convertible. If you don’t have one, just wind the windows down and stick it on full blast. ‘Four Eleven’ has this choppy riff that just is a bit different and completely infectious. At this point, I don’t know if it’s the quality of production, or the fact that I’m streaming the album, as it sounds a bit weak and thin in the ‘oomph’ stakes. 'Driving Into The Future' isn’t a song about Marty McFly, initially it’s a tad music by numbers but picks up with the guitar solo and the message so far is one of a feel good album. ‘Get On Top’ is full of layered harmonies. It’s a bit of a plodder, but the vocals save the day. ‘See if She Floats’ is drowning in its own averageness. Its not really inspiring a track. ‘She Can’t Go Home’ is the closet offering we get so far to a ballad., with Free’s voice being one of the best instruments and its probably the best of the bunch so far. Transgender aside Marcie still sounds like Mark of years ago and that isn’t a bad place to be as its easy to get lost and swept away in the vocals. 'Point Of View' is again a powerful uplifting track, one that harks back to the debut album. ‘Ice Cold Sunshine’ and ‘When Love Is Here’ sees UC stepping up the harmonies and are both examples of Allison’s great keyboard playing. The latter is another that takes influence from the debut. In my eyes, you can never have enough harmonies. ABBA taught me that from an early age! ‘Sunlit Sky’ is a proggy and 70s hippyish sounding song that again features Allison’s keyboard skills. The last track ‘Someday Somehow’ is bookended by a fake audience, and is an average way to bow out unfortunately. One thing that unites the UC albums, they never seem short of ideas for a dodgy album covers. In the light of recent times and the now abundance of melodic rock festivals, the time is right surely for a UK appearance. It’s just a case of which one gets lucky (and pays the airfare) and becomes the one to showcase the excellent Unruly Child. As a final comment ‘Cant Go Home’ is good, but not as good as the debut.